Seventeen year old Bianca Grey had a not so usual teenage life. Adopted with an abusive foster mother and unpopular at Philadelphia High School, Bianca found peace with her artistic talents. Pete Carrara Jr., had a different life. He was popular in school, musically talented with good looks and brains. Pete had the ideal perfect life with the perfect family and friends. Love had never crossed his mind until one day when he ran into Bianca. That very day, he thought love to be very possible. Bianca was guarded and had never let anyone get close to her. No one knew she was adopted, not even the school. The more Pete got to know her, the more he fell in love with her. Bianca was not so certain on how much Pete should know about her personal life but the more she learned about Pete, the more she cared for him. With him, her complicated life wasn't so complicated anymore. Their young romance blossomed through the difficulty of a drama filled high school and a series of mysterious killings in the city. But just when Pete thought that things were perfect with Bianca, her past surface. Can their love overcome the scariest reality out there, the so called life? 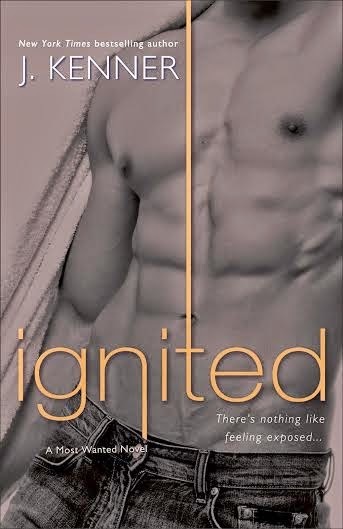 There is an old saying that goes “you don’t miss a good thing until it’s gone”, and that pretty much sums up how I felt about Ignited written by J. Kenner. Initially I thought I was never going to get into this story of Cole, one of the notorious Three Knights and Katrina, reformed grifter who has had a crush on him for like forever… I mean a really long time, because I just couldn’t connect with the characters. If you have read the previous two novels in this series, Wanted and Heated, you have been introduced to Evan and Tyler, the other two Knights who have found happily ever afters in their own lives. However, there was one last knight, Cole. He is a bad mama-jama with anger management issues who does not do relationships, and Katrina, a poor little love struck former con-artist vying for his attention. Katrina is going all out to get this man’s attention from spending invisible money to impress him at a gala to explicitly telling him she has one less problem if he would just bang her out. However, what she doesn’t know is that Cole sees her even when she is not being so obvious but is afraid that he is not the guy for her. I know you have heard or read this before but he feels that she is just too perfect for him to taint. M awakens something in Livy, something deep and addictive that she never knew existed-and that she fears only he can satisfy. But she senses that behind the fast cars, fancy suits, and posh apartment, he's aching inside. To have him, body and soul, she'll have to brave his dark secrets. Delving into his world and breaking down his defenses become her obsession-an obsession that could shatter her heart beyond repair . . 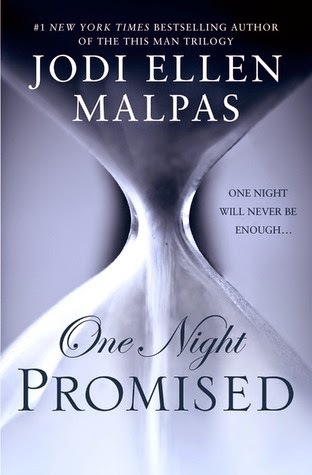 I can honestly say that I had a book hangover after reading One Night Promised. I read the ending and other parts multiple times just to see did I miss something or to revisit how and when something happened that accumulated to an ending that had me grasping at my pearls. I mean once I started getting into the story of Livy, a goodie-two-shoes who lived with her grandmother, and the mysterious “M” who was an anomaly all by himself, I was hooked. And from the instant these two met, there was an attraction that would take them both down a path neither of them had anticipated or was prepared for what laid ahead of them. Nico whistled, a sharp warning in the silence of the alleyway. She reached for him, pulled his head down for a savage kiss. She surprised him with the strength she had at the moment, clinging to him and inserting herself into his mouth, trying to take claim of it. He resisted, pulled her arms down and pinned them behind her back in a grim similarity to how he’d bound the dead man. He twisted them until she whimpered and gave in, allowing him to control the kiss, and her body. I'm good-looking, but I'm not a ladies man. I'm beyond wealthy, but no one knows it. I'm confident, but my heart has been broken. 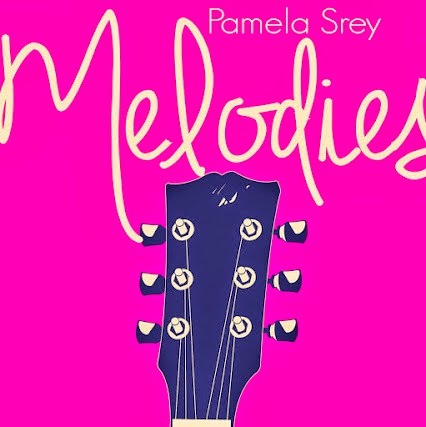 Find out who Holden West really is through the eyes of Lucy Mayfair, the struggling waitress who works at his favorite diner. When she first meets Holden, all she sees is a tough, rugged auto mechanic who seems to carry a certain sadness wherever he goes. What she soon finds out is that there is more to Holden than she ever would have guessed. Well now... What do we have here? 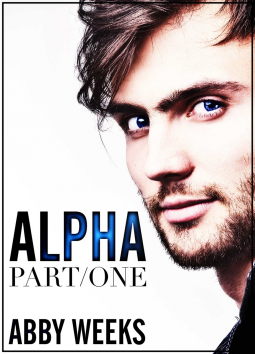 I'll tell you what, a set-up is before me for what could potentially be a very good storyline in the first installment of Alpha by Abby Weeks. Even though I was hoping for more, I was intrigued enough by what I did read to want to read more about Lucy, Holden, Jimmy, and Jefferson, as well as, Lucy's family.